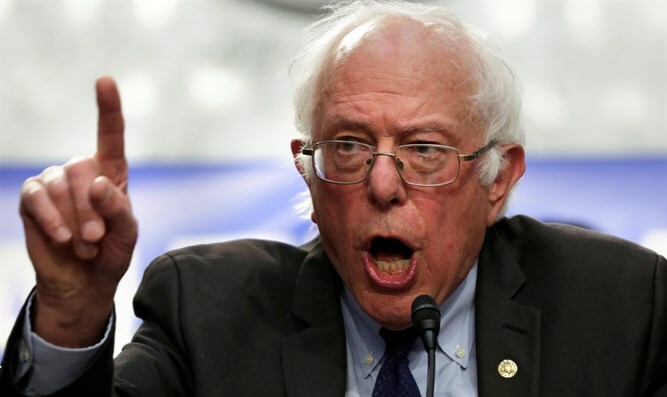 Coalition for Jewish Values criticizes Bernie Sanders, Dianne Feinstein for condemning Israel following Gaza violence. Echoing language used by Sen. Dianne Feinstein, D-Calif., the Coalition for Jewish Values (CJV) said today that it is "deeply disappointed" with public statements made by her and Sen. Bernie Sanders, D-Vermont, regarding the Hamas-led effort to invade Israel from Gaza and murder its residents. Sanders claimed that Israel is "shooting unarmed protesters" in a Tuesday interview, while Feinstein said that there should have been "a U.N. inquiry into yesterday’s events" in a statement issued that day. The CJV further noted that "despite false media depictions of the Gaza riots as "peaceful protests," the Hamas terror organization called for an invasion effort to overwhelm Israel's defenses and kill its inhabitants." Demonstrators were encouraged to bring concealed knives and guns, and were offered maps showing quickest routes to civilian communities in Israel should they succeed in crossing the border. On Wednesday, Hamas said that 50 of the 62 casualties thus far were affiliated terror operatives, while Islamic Jihad announced that three of its fighters were killed. "By their own statements, Hamas and Islamic Jihad confirm that over 80% of the casualties were members of terror organizations," said Rabbi Dov Fischer, the West Coast Regional Vice President of the CJV. "No country in the world would hesitate to use force to protect its citizens from being overrun by an armed multitude pledging to invade and kill its inhabitants." "Israel, as always, leads the world in efforts to protect civilians, despite Hamas encouraging Gazans to willingly serve as human shields," added CJV East Coast Regional Vice President Rabbi Steven Pruzansky, Esq., "so Sanders cannot claim simple ignorance. The Senator should be reminded that whether he demonstrated a reckless disregard for the truth or deliberately made false statements for political gain, his statements were libelous and a disgrace to his office either way." Rabbi Pruzansky concluded: "In criticizing Israel's defense of its border against enemy encroachment and defending the right of terrorists to attempt to murder innocent civilians, the Senators have clearly demonstrated that their moral compass is askew."